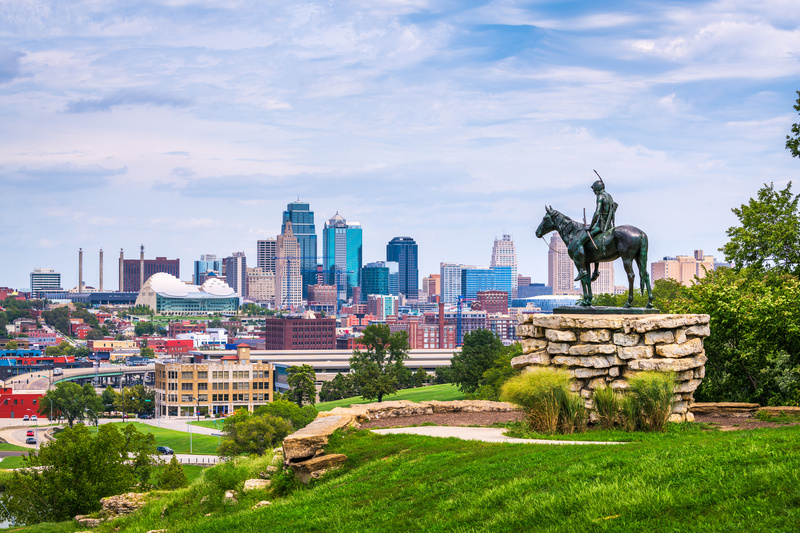 Kansas City continues to earn national recognition for its cost of living, food, and world-class attractions. And with a strong job market, rising rents, but affordable home prices, it’s a market you won’t want to miss! Pat Grace’s team is your Kansas City boots-on-the-ground team! With 20+ years experience, this top-notch team is EXPERT in all things Kansas City residential real estate. Turnkey Single Family Homes fully-rehabbed and stabilized with cash flowing from day one. Add to or expand your turnkey portfolio in Kansas City! Turnkey Fix n’ Hold Value-Add Projects give you the chance to profit from the acquisition and rehab of properties on top of the ongoing cash flow. The best part is Pat’s pre-trained teams do all the work for you! Apartment Deal Flow lets you leverage Pat’s network of agents and brokers to source the best deals for multi-family apartment buildings. Professional Management for all your Kansas City residential properties give you total peace of mind as you sit back and enjoy the cash flow! Whether you’re just getting started or syndicating large portfolio acquisitions … Did we mention this team is experienced? As THE largest home buyer in Kansas City, they’ve been buying and syndicating their own portfolio of properties for years. They know what you’re looking for because they are YOU. To get the inside track to current Kansas City deals, contact Pat’s team today! Fill out the form below and they’ll be in touch with info you need to get started and go bigger in Kansas City! “Appreciate all the info on some of your inventory, super informative” – Rolando G.
Nice quote. But it assumes you know what numbers to look at … and whether or not they make sense. … things like rent ratio, gross-rent multiplier, cap rate … and of course cash flow after debt service. Those are all SUPER important … and you should pay attention to those. Individual properties exist in local markets, which are affected by both macro and regional factors. Macro factors are things like interest rates, tax rates, and how other markets compare to yours. Sometimes people move to find greener pastures. Regional factors include local taxes, landlord laws, economic drivers, supply and demand fundamentals, net migration trends, etc. So it could be a mistake to focus solely on the property’s numbers. The market’s numbers matter too. If your prospective property is in an area with downward trending regional factors, you might end up … as stock traders say … catching a falling knife. Once the RICHEST city on the planet, Detroit boasted a population of about two million people. Strong incomes, lots of prosperity, a robust real estate market. Slowly … for many reasons we won’t delve into now … Detroit’s regional drivers began to weaken. 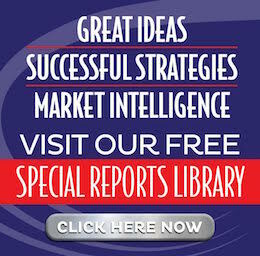 … the regional market trend was working against you over the long term. And just as a rising tide lifts all boats, a receding tide lowers them. So we think it makes a lot more sense to pick your market BEFORE you pick your property. Our approach is to pick a market first, then build a local team, and then let the local team help find the right properties. This way, when you’re running numbers on a specific property, it’s in the context of a market you think has a stable or rising tide. One market metric we suspect will become increasingly important going forward is rental affordability. That’s because the long-term trend of net “real” prosperity for working class people has been down … and that’s probably not changing any time soon. Of course, even if we’re wrong … and we’d love to be … being in affordable markets isn’t a liability. Again, a rising tide lifts all boats. … and you risk being on the wrong end of a price war to maintain occupancy. Of course, determining a market’s rental “affordability” is a tad more complicated than just running a pro forma P&L on a specific property. For example, if rents are low, is the area automatically “affordable”? Or if rents are rising, is the area becoming less affordable? Affordability is about the ratio between wages and incomes, how many people in an area can afford the area’s rent, and comparing one market to another. Maybe in an area where rents are rising, wages are going up even faster. More people start moving in to earn those higher wages, which increases the number of people who can afford the rent. So rents could be rising, yet the area is becoming more affordable. Like we said … it’s a little complicated. Fortunately, there are smart people who study these things and produce fancy reports we can peruse for clues … about markets, trends, and where opportunities are. New York University’s (NYU) Furman Center cranks out all kinds of research related to housing … including their recently released 2017 National Rental Housing Landscape report. Page 10 of this report caught our eye because it charts 53 big city areas (“metros”) and compares “share of renter households that were rent burdened” in 2015 versus 2012. They define “rent burdened” as those tenants paying 30% or more of their income on rent. Obviously, when a smaller percentage of people in a region are rent burdened, it means a greater percentage can afford to pay whatever the going rent is … and absorb increases in rent or other living expenses. This puts a little recession insulation in your income property portfolio. So a number that “makes sense” for a market could be a low percentage of renters who are rent burdened. Of course, it’s also wise to understand why rents are low relative to incomes. It could be driven by falling rents (bad), rising wages (good), increases in rental stock (maybe bad), net in-migration (good), or any combination of those and other factors. So we’re not here to suggest simply because an area is becoming more affordable, it’s automatically a great market to invest in. But it’s a clue … and worthy of further investigation. What’s nice about the NYU Furman report is it compares 2012 to 2015 … so you can see whether a metro is trending better or worse for this particular metric. If a market is more affordable in 2015 than it was in 2012, it’s positive in terms of the number of people who can afford to pay the going rent. More qualified prospective tenants is a good thing. Of course, if affordability is driven by primarily by falling rents and rising vacancies, it’s a red flag. But markets with increasing affordability, and stable rents and occupancies, should probably end up on a short list of markets to pay a visit to. … because if there’s macro-pressure on renters … say rising expenses in food, energy, healthcare, taxes, or interest … they may move to more affordable areas to find some budget relief. In tough times, people don’t typically move to more expensive areas. They look for places that are more affordable compared to where they are. Again, it’s EASY to invest in a rising tide. But it’s always smart to be ready for if (when) the tide goes out. All things being equal, a market with rents to the mid-to-low range on a national scale is probably safer when sailing into uncertain economic seas. So have some fun in the report … toggling between page 6 (median rent by metro) and page 10 (share of rent burdened households). … and also affordable nationally when compared to the average rents of other metros. Kansas City is best for lowest population of rent burdened, with a solid improvement from 2012 to 2015 … and it’s more affordable nationally than two-thirds of the list. Oklahoma City, Cincinnati, Louisville, and Salt Lake City all also look pretty strong based on these metrics. Again, this isn’t a final conclusion about great housing markets. But it’s one set of numbers to consider when looking for markets to investigate. Until next time …. good investing!